The Tethras family was once part of the Noble caste in Orzammar, until Varric's father was caught fixing Provings. Such was the disgrace and danger to the family that the household had no choice but to leave for the surface. 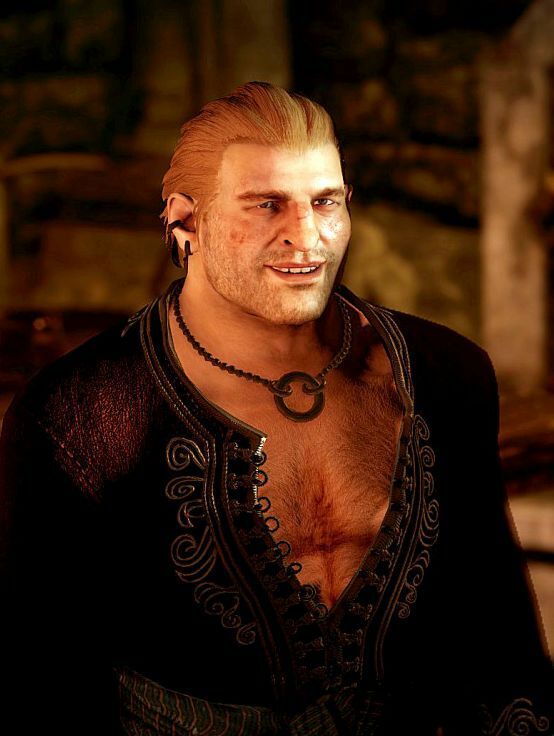 Unlike his brother, Varric was born in Kirkwall and has no feeling of loyalty or love towards Orzammar, his knowledge of which is largely second-hand. He is a merchant prince among the surface dwarves. Varric Tethras is one part adventurous rogue, one part dashing storyteller, and three parts trouble. Born on the surface, Varric has little love for his underground brethren—all his contacts lie with the dwarves of the Merchants Guild, though he has little taste for their schemes. Still, he has found a place as an outsider, rubbing shoulders with both the wealthy elite as well as the worst of scoundrels. To hear him tell of it, that’s all he truly cares about, though anyone who truly knows him claims differently.